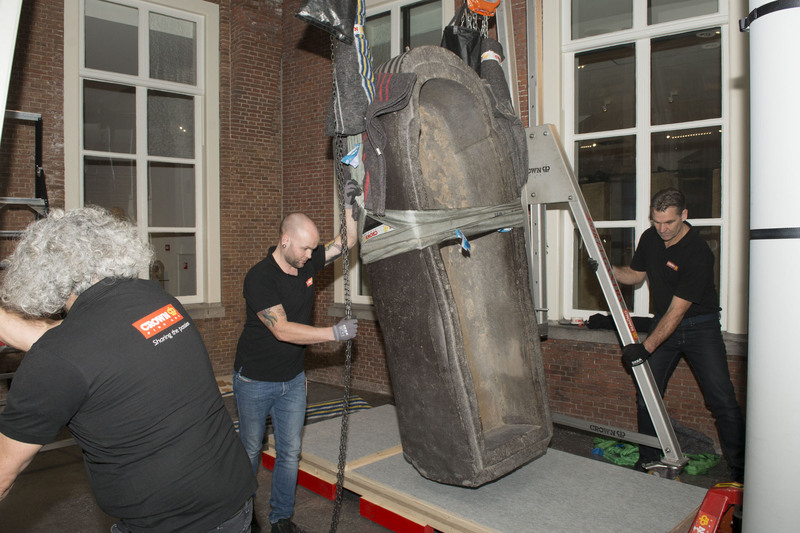 A 3,000 year-old sarcophagus in two parts was de-installed, packed and prepared for a 5,000 mile journey from the Netherlands to the U.S. with the help of Crown Fine Art’s expert art handlers. 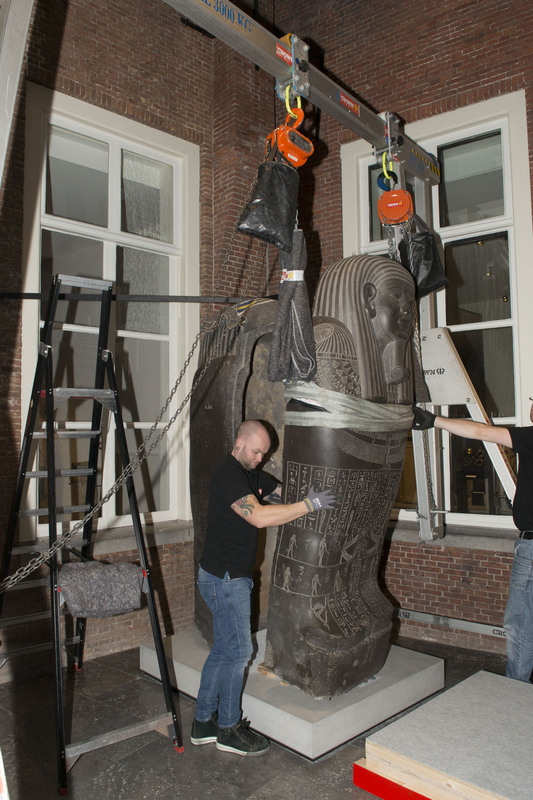 The Egyptian artefact moved from its home at the Rijksmuseum van Oudheden (The National Museum of Antiquities) in Leiden to a temporary exhibition at the Getty Museum in Los Angeles. Specially designed wooden crates measuring 2.6 meters in length were constructed for the two parts of the sarcophagus. 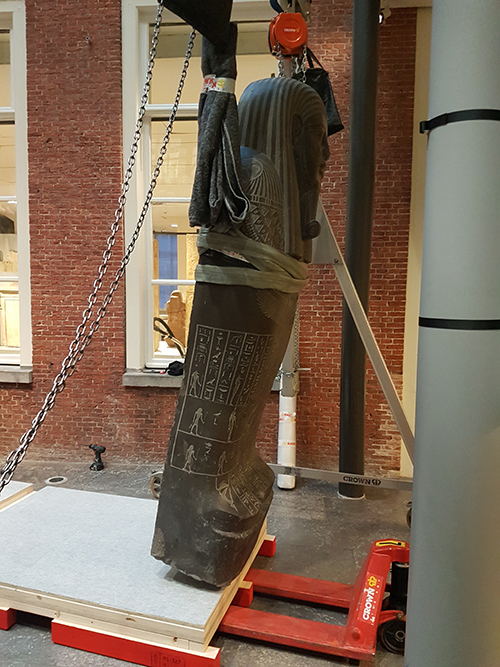 Together the pieces weighed over 3,000kg, which meant that they had to be moved from their display at the Rijksmuseum van Oudheden into the crates using hoists. This wasn’t the first time our art handlers had tackled these issues; each stage of the intricate transportation process has been planned out by our team for previous moves involving the ancient treasure. The sarcophagus will feature in a major exhibition called Beyond the Nile: Egypt and the Classical World. The exhibition aims to explore the artistic interplay between Egypt, Greece and Rome from 2,000 BC to AD 300. 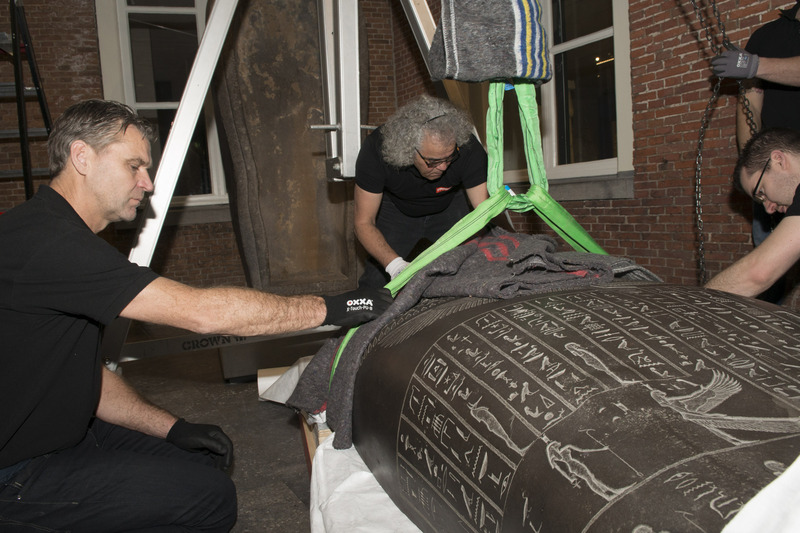 Beyond the Nile opened in March 2018 and CFA will assist with the return transportation of the sarcophagus when the exhibition closes in September 2018.